contours = sparklines that flow in three dimensions! not driven by marketplace ethics, not driven by focus groups. the mountain map side-by-side against the current or proposed visualization. and a spectacular elevated effect for what may be a ski-lift. (without using annoying flashboxes or popups for type/data). 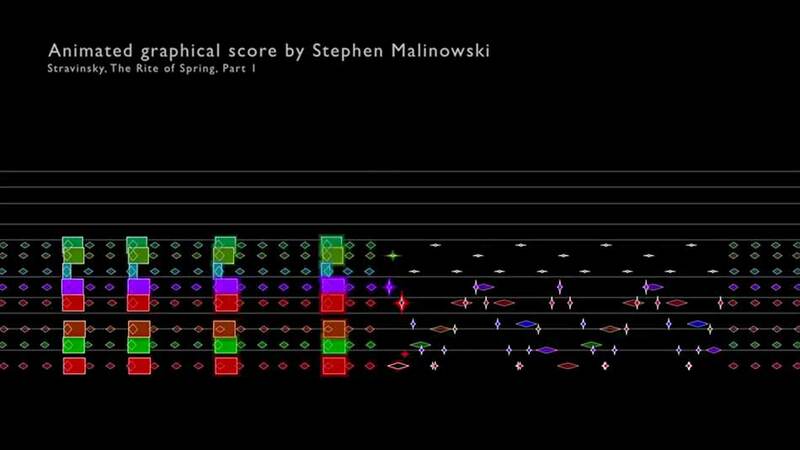 Stephen Malinowski's music-animation-machine version of Stravinsky's Rite of Spring. more maps moving in time. I have only what the data surface should look like. All that needs to be done is to hook the surface to data sources other than Nature in action! Now, what are good design comparison sets for workaday diagrams and data displays? Well, put your display pairwise adjacent to the most widely used data-architecture in history: Google maps. navigate through the real world. That's the best user test: success in the wild. acommodating a diversity of users. around every street name. Play in the big leagues. Given the prominence you rightly give to the Swiss maps, perhaps readers will want to check out the re-published classic by Edward Imhof, Cartographic Relief Presentation, which is available to buy from ESRI Press. Below is a plate that shows Imhof's skills applied. The top two images are a stereo pair aerial photograph. The bottom two are Imhof's illustrations, showing at left a contour plot and at right a combined contour and shaded representation. With the long-list of highlights of the Swiss maps in mind, look at the transition between the raw data sets (stereo pair images), the "rigorously metrical abstract representation" on the bottom left, which is very difficult to understand and the beautiful image at bottom right which retains the metrical information and some of the textures from the aerial photographs. Professor Rory Wilson gives examples of maps showing animal movements in time and space. He highlights the need for high time resolutions snapshots in order to bring out meaning from the movement. In addition he brings the local details (animal movements) into a larger context (changes to / description of an ecosystem). Giving not only static course map for a triathlon race this example will "run" the course showing you when and where to turn during your race. [Press the "play" arrow to right of GPX for either the Sprint distance or Olympic distance bike course]. One improvement is that the elevation sparkline could be tracked along with the time-elaspsed position along the course to show the elevation at any specific point. The National Weather Service provides not only the current (static) radar image but will also play a one hour loop showing the movement of a storm helping one to assess whether a storm is moving towards or away from you. 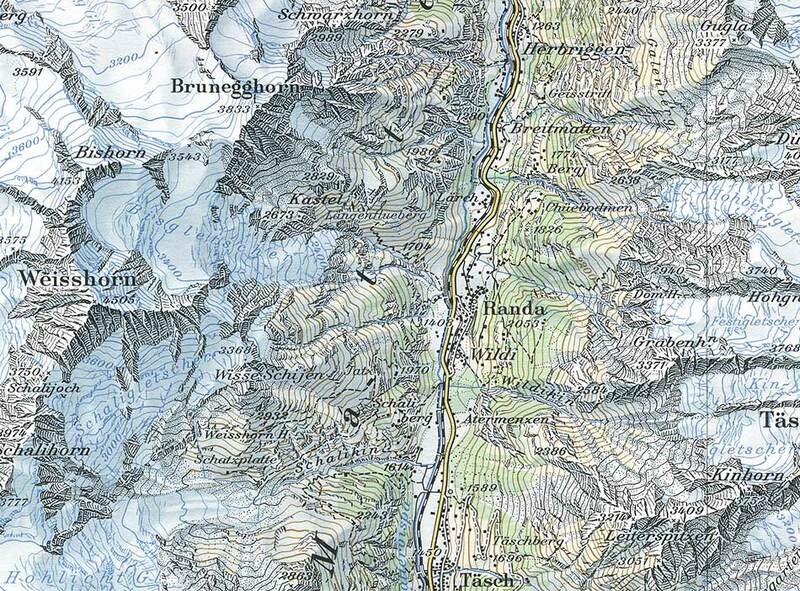 For interested readers, the Swiss National maps that ET talks of are available to buy and download from the Federal Office of Topography (https://www.swisstopo.admin.ch/internet/swisstopo/en/home.html). Here's a NASA time lapse of a solar coronal mass ejection that adds a lot of depth in the course of slowly panning over the images of the sun. Wonderful imaging and good use of panning to depict immense 3-dimensional activity. measurement on their observations (publish in Unscientific American, then). Consequently the video appears as science fiction, not real science. 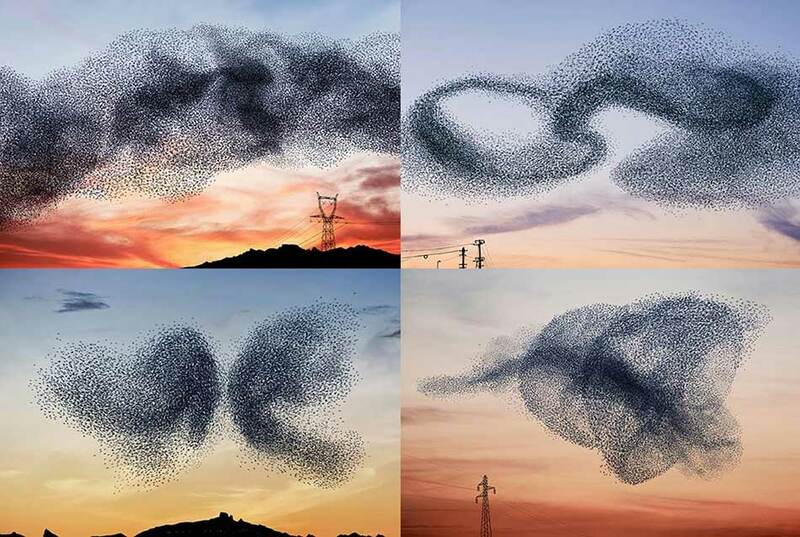 These French starlings set a high standard for dynamic data visualization creating ever-changing 3 dimensional shapes moving in space and time. Short film "Bird Ballet" by Neels Castillon. The bird ballet is impressive, but it's a pity they attached that awful music to it: did they think the visual part couldn't stand on its own? Every swiss map should be updated with the new system prior 2019. I do not know yet what is my take on this. It seems you can perceive the increased automation. And maybe a bit of 'design by committee' flavor to the new maps. Which seems to result with noiser and less soothing maps. At the same time I am quicker to find infos I'm looking for on the new maps. Could they be less beautiful but more efficient? Similar to Neels Castillon's filming flocks of starlings, Dennis Hlynsky adds in the dimension of overlapping time to create trails of starlings and these beautiful maps moving in time of their flight. This video was made with a Lumix GH2 recorder and some editing using After Effects. 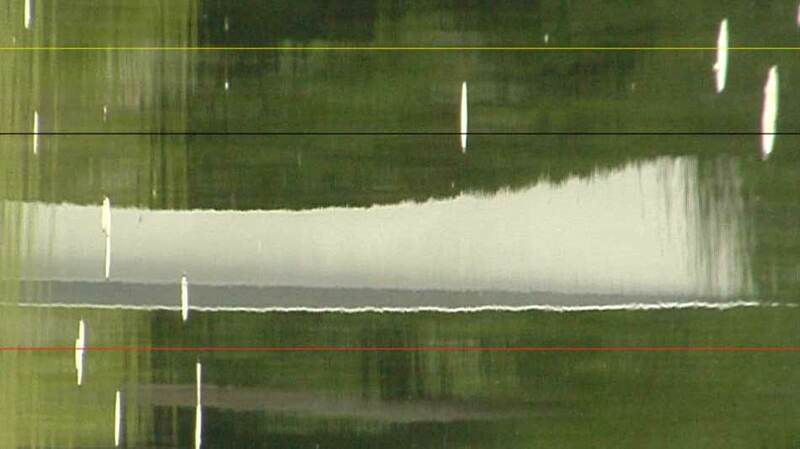 Using this technique he has also recorded fish, ducks, water striders and other animals and creatures' movement in time. With regards to the solar coronal mass ejection, and in particular, ET's concerns about changing color and dequantification, I can offer some context. The images are taken from NASA's Solar Dynamics Observatory, in earth orbit, by the Atmospheric Imaging Assembly. You can download these images from the SDO website, and choose any of the AIA telescopes. The numbers refer to the wavelength, in angstroms (0.1nm), of the light. Different elements/isotopes radiate at different temperatures and therefore different wavelengths. Each of these is given a characteristic and consistent color, although a false one (it's all ultraviolet). This explains why the sun changes color through the video. ET says there's no scale, and while that's true, there are enough establishing shots that we know the size of the flare relative to the sun. Also, given the curvature of the sun and the 3D flare escaping it, an accurate scale may be non-trivial. But more important than the lack of a spacial scale is the lack of a temporal one. Does the flare take hours or seconds? The images from SDO (same link as above) include the timestamp, but are separated by 15 minutes. Wikipedia, in its clear infallibility, states that images are taken every 12 seconds. I haven't been able to find that data. The data is said to be openly available. The scientific reports about the data, however, are published in paywalled journals! But it is government data that they scraped. Also the University of Pittsburgh is very aggressive in pointing out that they have trademarked "Project Tycho." Early wind maps by now turned into spectacular maps moving in time.